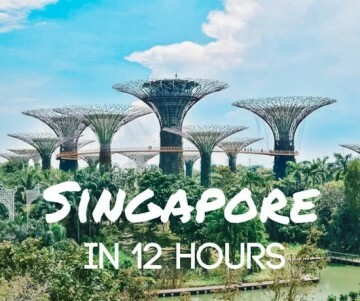 Singapore's not called food paradise for nothing! 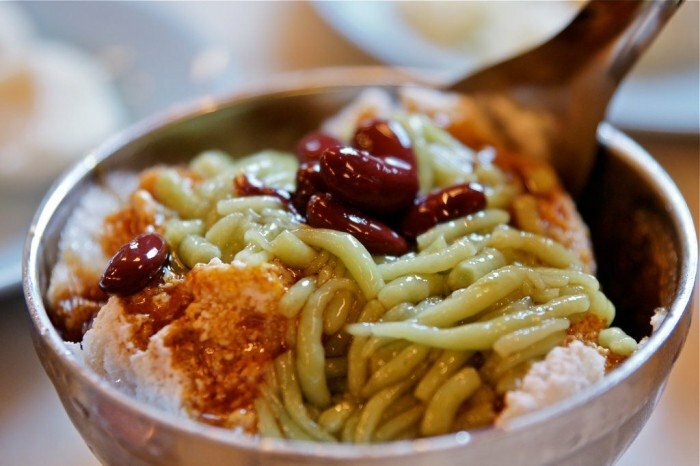 Hunt down these local desserts, from ice kacang to tau suan, the next time you're here! Desserts in Singapore are a melting pot of diverse influences, just like the island’s people. They come together in a colourful smorgasbord of food that is sure to satisfy any sweet tooth! From icy cool dishes to jellies and cakes, here are eight delicious local desserts you’ve got to try when travelling to the sunny island. Served hot or cold, this golden coloured soup typically contains dried longans, white fungus, barley, gingko nuts and sweet syrup. Ingredients can vary. Some vendors may add other yummy additions like dried persimmon, sweet potato or lotus seeds. 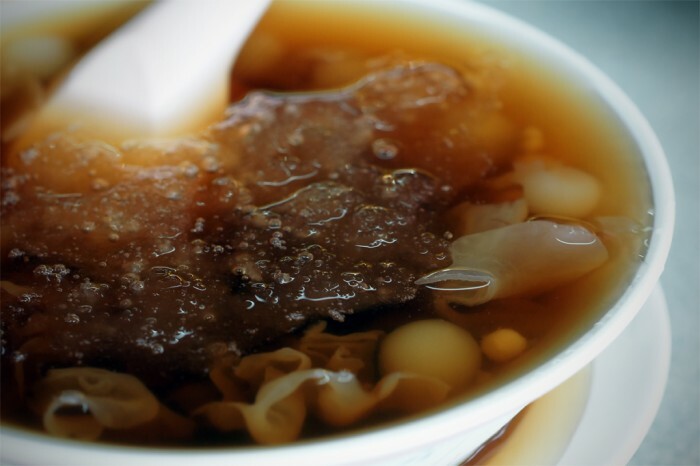 As a hot dessert, cheng tng is a warming and comforting treat – simply satisfying! If the weather is just too hot, have the dessert icy cold instead. So sweet and cooling! Try: Ye Lai Xiang Hot and Cold Cheng Tng. Stall #31, Bedok Corner Food Centre, 1 Bedok Road, 469572. (Closed for renovation 5th Sept to 16 Oct 2016). 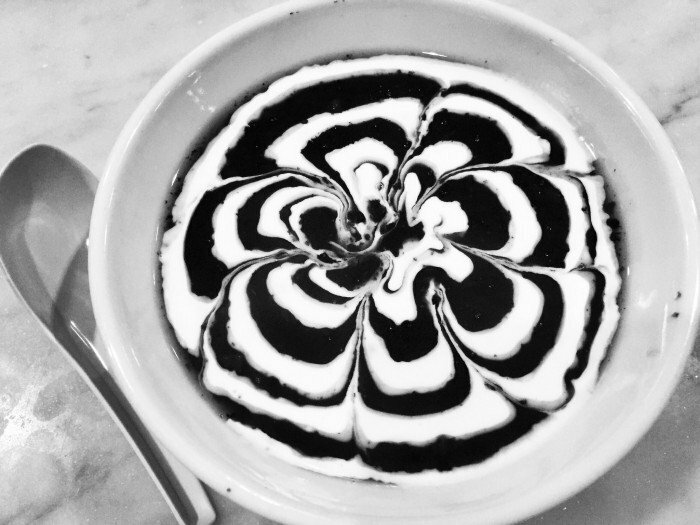 Simmering sweet black glutinous rice is topped with a whirl of coconut milk to make this scrumptious local favourite. It’s quite a simple recipe but the result is delicious! It’s so easy you can even make it at home. Pulut hitam is a popular dessert in Malaysia, with variations in other Southeast Asian countries too. In Singapore, you can find it at many dessert stalls and if you’re lucky, served with a scoop of melting vanilla ice cream on top. Try: Qing Tian Cold & Hot Desserts. #01-60, Redhill Food Centre, 85 Redhill Lane, 150085. 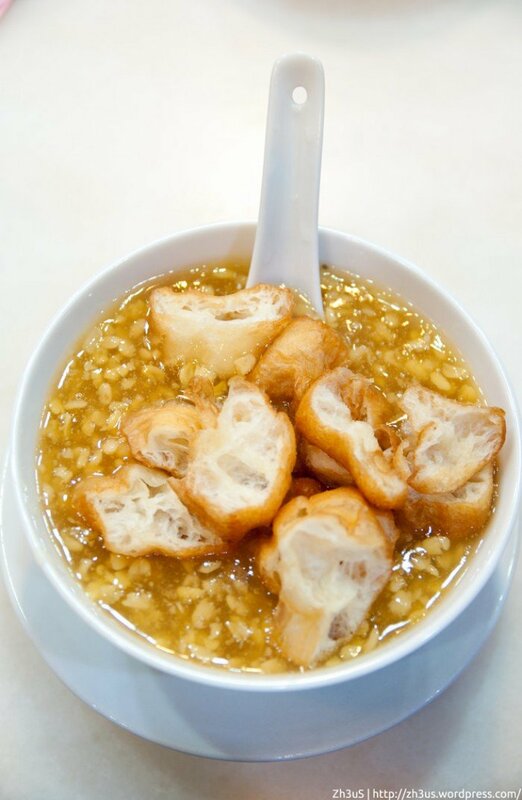 Tau Suan is a dessert made with split mung beans and topped with crispy dough fritters (youtiao). The soup base is boiled with sugar and pandan leaves then thickened with potato flour to create this tasty hot dish. I prefer tau suan when the beans have some bite to them and the more youtiao the merrier. It’s a humble old-school treat! Try: Tiong Bahru Tau Suan. 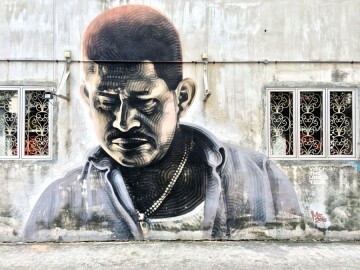 Tiong Bahru Market & Food Centre, 30 Seng Poh Road, #02-55, 168898. 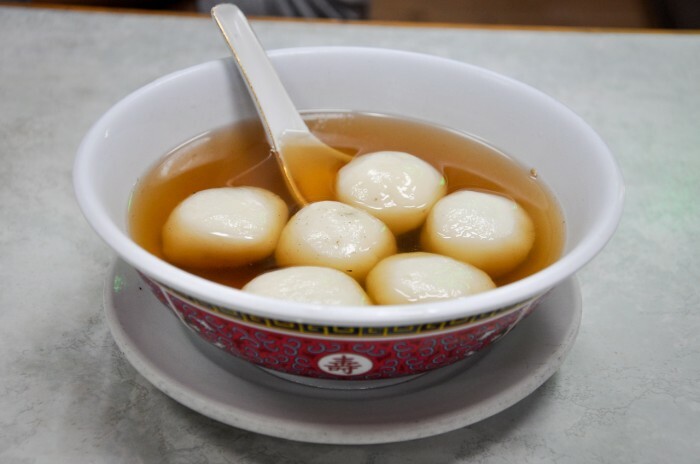 Ah Balling, also called tang yuan, are soft and slightly chewy glutinous rice balls stuffed with mouthwatering ingredients like peanut, red bean or sesame paste. They are served in a sweet broth which is often infused with ginger, although peanut soup is also very popular. Ah Balling is a Chinese dessert that was traditionally served during the Winter Solstice and Chinese New Year to symbolise togetherness. Today you can enjoy this dish all year round. Try: 75 Ah Balling Peanut Soup. 505 Beach Road, Golden Mile Food Center #01-75, 199583. 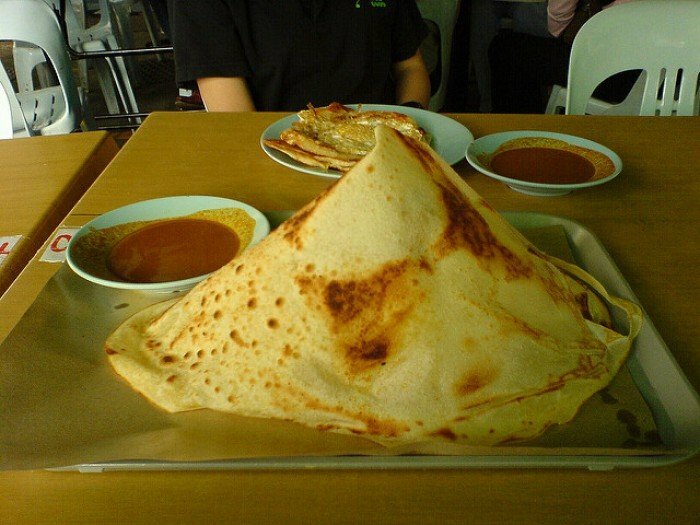 Not your average prata, tissue prata is a delicious pyramid of crispy paper-thin prata coated with sugar on its underside. It’s not exactly for the health conscious as it’s usually glazed with a generous amount of butter that drips to the base and is sometimes topped with whirls of chocolate syrup. Yes, you will probably consume a thousand calories in one sitting. And yes, it tastes good. Try: RK Eating House. 1 Kensington Park Road, 557253. Shaved ice is soaked in creamy coconut milk, drizzled with gula melaka, topped with chendol (soft pandan-flavoured jelly) and red bean to create this indulgent cold treat. Though the dish originates from Singapore’s neighbours, it is still very much a staple sweet on the island. I love how the rich flavours of coconut, palm sugar and the toppings blend perfectly together. Try: Chendol Melaka Changi Village. 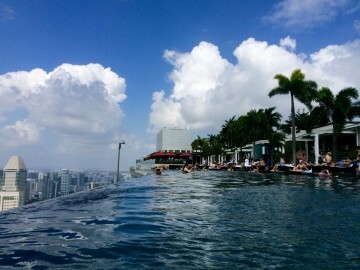 1 Changi Village Road, 01-2046, 500001. Kueh are a variety of small desserts that come in many different forms, using various ingredients. 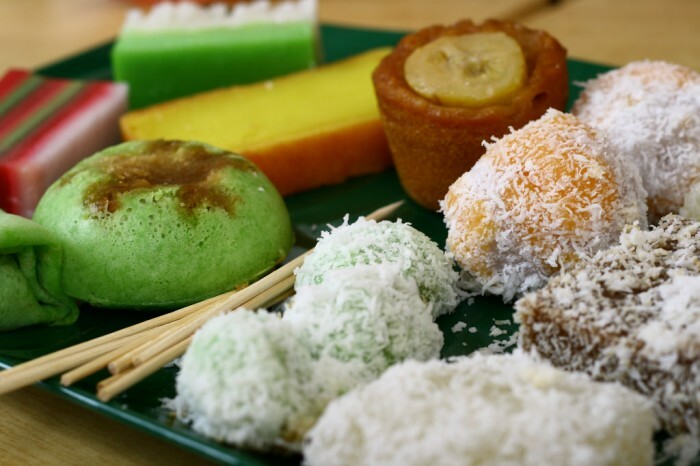 Coconut milk, gula melaka, pandan and tapioca are essentials that are commonly used in most types of kueh. Our Southeast Asian neighbours will be very familiar with these delectables since they are found all over the region, especially in Malaysia and Indonesia. From the colourful layers of Kueh Lapis to the oozing gula melaka of Ondeh Ondeh, there are so many irresistible kueh to choose from. Try: Bengawan Solo. Various outlets islandwide. This list would not be complete without what might be the mother of all Singapore desserts, Ice Kachang. I’m not sure who came up with the idea of red beans, jelly, chendol and attap chee (palm seed) hidden under a mountain of shaved ice, then soaked in the rainbow and doused with evaporated milk, but I’m glad they did. 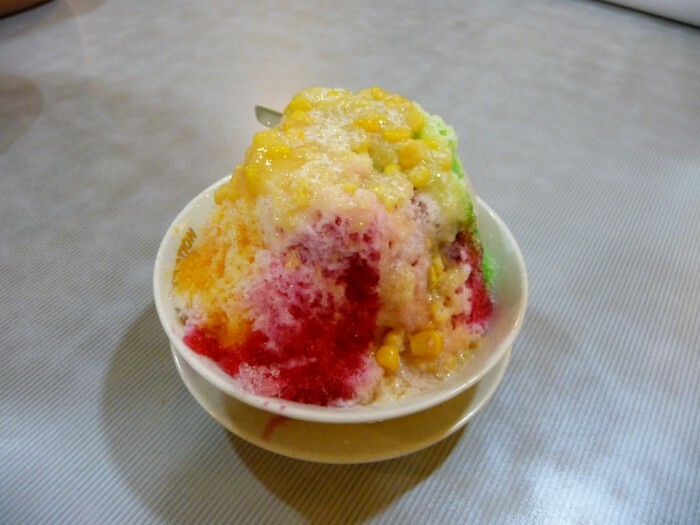 A hit of Ice Kachang is sublime in the hot and humid weather! At many stalls, you can also add extra toppings like sweet corn, mango, durian or chopped peanuts. Try: Jin Jin Hot/Cold Dessert. Block 6 Jalan Bukit Merah #01-20 ABC Brickworks Market Food Centre, 150006. (Closed on Wednesdays). There are lots of other desserts to savour in Singapore. I have to give honourable mention to some of my favourites too which are not on this list, including mango sago pudding, Eurasian sugee cake and beancurd! With dessert stalls all around the island, why not indulge in a few of the sweet treats you’ve seen here? 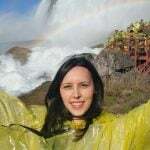 Becca is a fan of impromptu travel, world cultures, ocean views and chocolate anything. 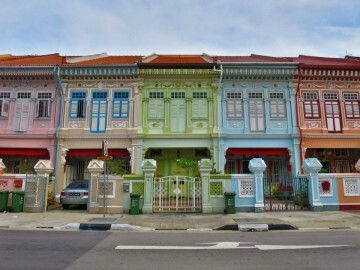 When she's not travelling, you can find her either roaming the muddy paths of the English countryside or wandering around her favourite neighbourhoods in Singapore. After taking an AncestryDNA test, she now dreams about visiting all the places that make up her ethnicity.